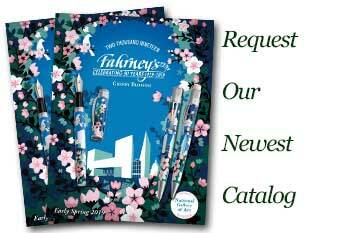 Order your Waterman Hemisphere Fountain Pen today from FahrneysPens.com. Fine Pens, Refills & Luxurious Gifts – great prices & fast shipping. 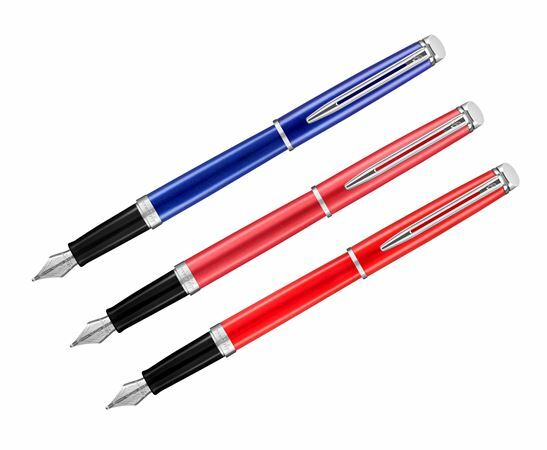 Waterman brings a new, refreshed look to its slim and sophisticated Hemisphere series in on-trend colors with metallic effects. Always a favorite choice for gifts, the new Hemisphere now comes in appealing Comet Red, Bright Blue or Coral Pink with polished chrome clip and trim. True to Waterman’s high standards, the fountain pen has an engraved, stainless steel nib that offers smooth and dependable ink flow. You’ll also get glowing results from the capped rollerball or twist ball pen. Cartridge/converter fill.